1. 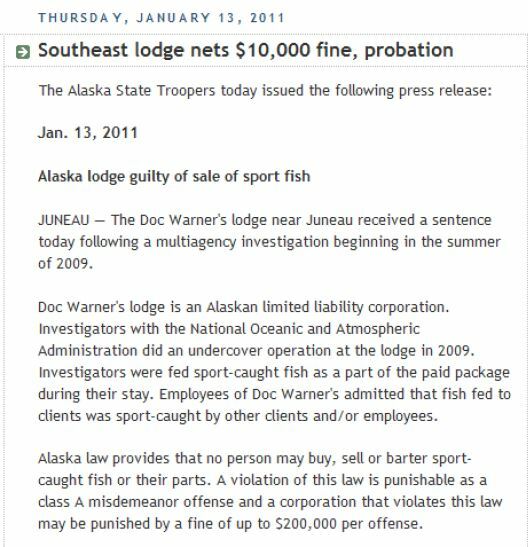 Manager of Doc Warner's Alaska Fishing 1998-2009. LinkedIn web shot. 3. 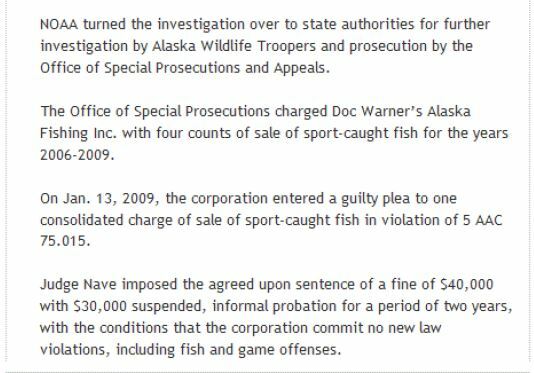 2009-2011: Doc Warner's Alaska Fishing was investigated, charged and pleaded guilty to Fish and Game violation. 4. 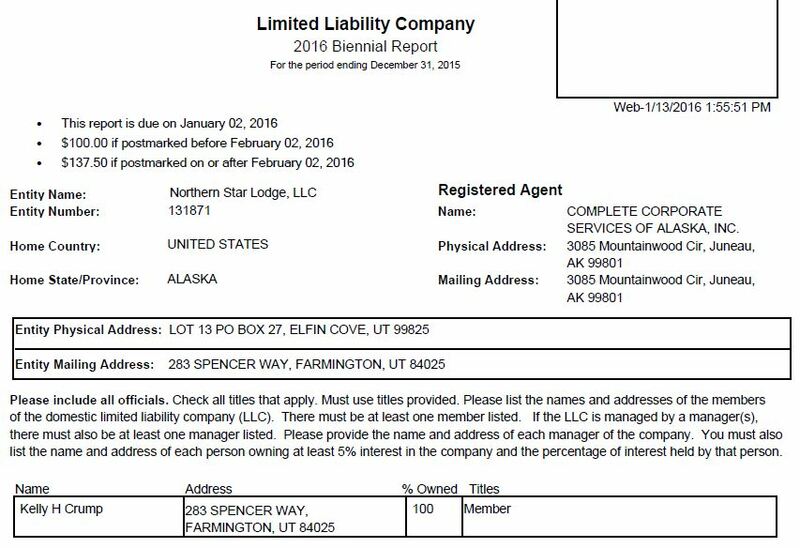 12/2/2010- Northern Star Lodge, LLC is organized and the mailing addresses used are 283 E. Spencer Way, Farmington, Utah 84025. 5. 6/27/2012- Kelly Crump becomes a registered voter in Alaska. 6. 7/5/2013- Mary Warner Crump becomes a registered voter in Alaska. 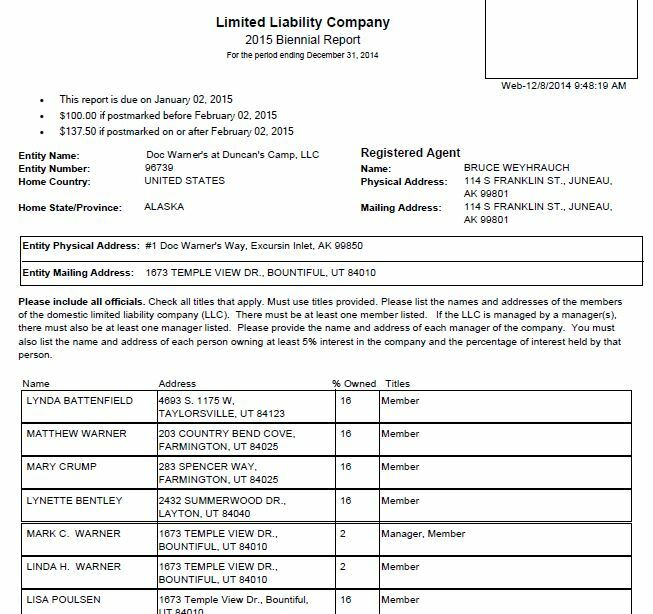 They use their business (Waters Edge Lodge) address: Lot #13 P.O. Box 27, Elfin Cove, Alaska. 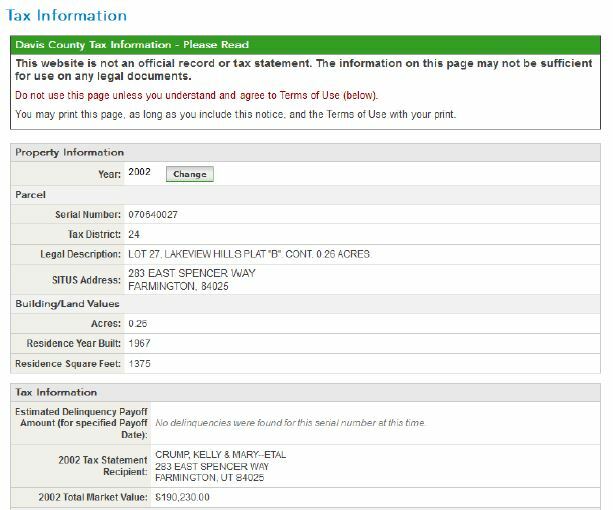 And their primary domicile's address as the mailing address on the application. 7. 12/8/2014- 2015 Biennial Report for Doc Warner's at Duncan's Camp, LLC. 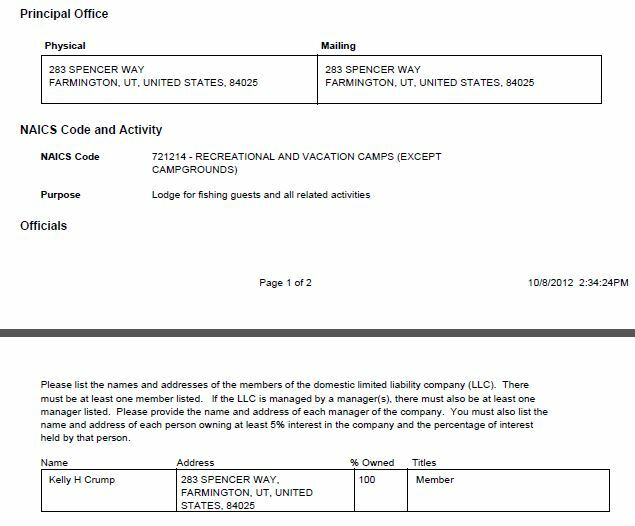 The Warner family thinks she lives at 283 E. Spencer Way, Farmington, Utah 84025. 9. 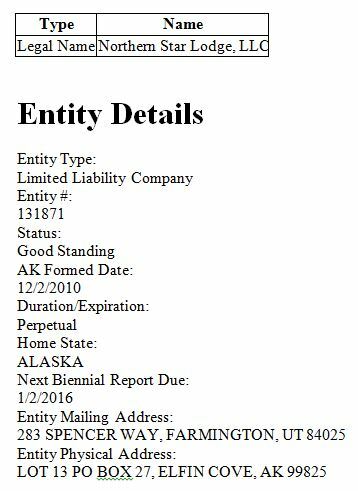 1/13/2016- 2016 Biennial Report for Northern Star Lodge , LLC. 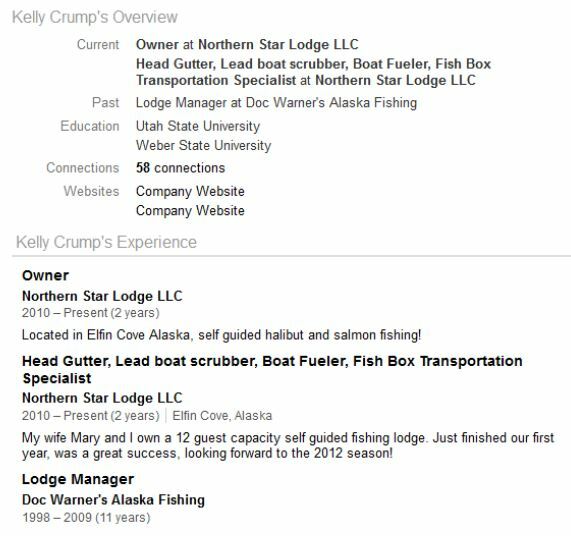 Kelly Crump lists his address as 283 E. Spencer Way, Farmington, Utah 84025.